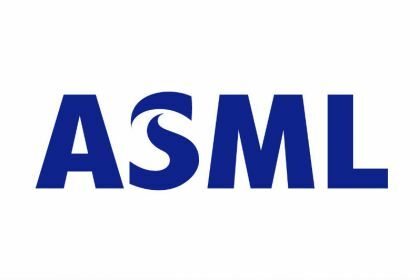 This week ASML Holding announced a 50% increase of their annual dividend. The dividend per share will be increased from €1,40 to €2,10. As a result of this dividend increase my yearly estimated dividend income will increase with €10,50. Yield on cost after the dividend increase is 1,56%. Today I purchased 21 shares Wereldhave at a price of €603,88 including fee’s. As a result of this purchase I now own 76 shares Wereldhave against. My average purchase price declined from €34,33 to €32,79. With this purchase I add €52,92. to my yearly estimated dividend income. Yield on cost of my Wereldhave shares is 7,68%. 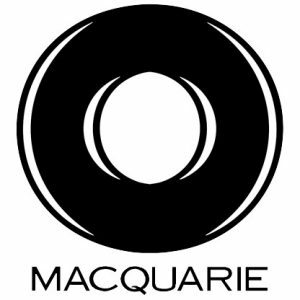 Today I bought 27 shares Macquarie Infrastructure Company at a price of $41,18. As a result I now own in total 74 shares. My average purchase price of MIC shares is declinging as a result of this purchase from $52,95 to $48,66. Due to this purchase I add $108 to my yearly estimated dividend income. My yield on cost MIC is 8,22%. The current yield is 9,71%. EPR Properties announced a dividend increase from $0,36 to $0,375 per month. I have 31 shares EPR Properties. As a result my yearly dividend income is increasing with $5,58. 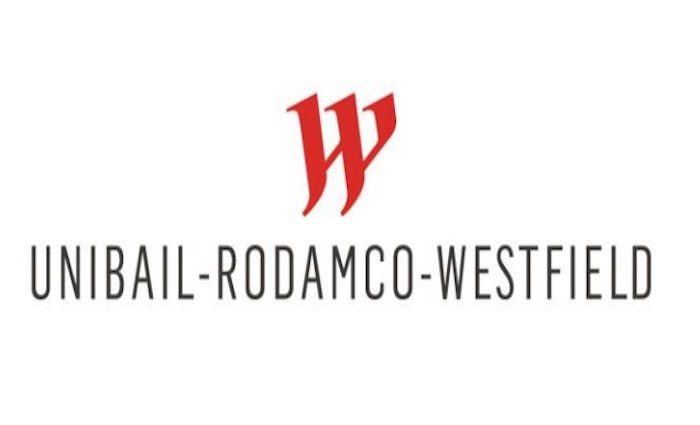 Today I purchased 3 shares Unibail Rodamco Westfield at a price of €143,30 including transaction costs and French stock transaction tax. As a result of this purchase I now own 15 shares Unibal-Rodamco-Westfield. The average purchase price is reducing from €171,03 to €165,49. Due to the purchase of the 3 shares Unibal my yearly extimated dividend income will increase with €32,40. Yield on cost is 6,52% based on my average purchase price. In December I received €242,66 in dividend payments. Previous year in December I received €74,00 so my dividend income is up 228%. This month I received payments from 13 companies. Dividend payments from Royal Dutch Shell and Enbridge are responsible for over 50% of my income this month. I did realize all targets this year. I received a total amount of €2.223 in dividend this year. It’s almost the end of 2018 so it’s a good time to set my dividend targets for next year. The inflation in The Netherlands is 2,0% in November compared to previous year. As a result of the inflation I’m increasing the monthly dividend income target from €1.015 to €1.035,30. Based on the portfolio I have now my dividend income for 2019 will be €3.176. My dividend income target is based on this income and 6% average dividend growth. Also I expect that new purchases will result in €133 in extra dividend income. 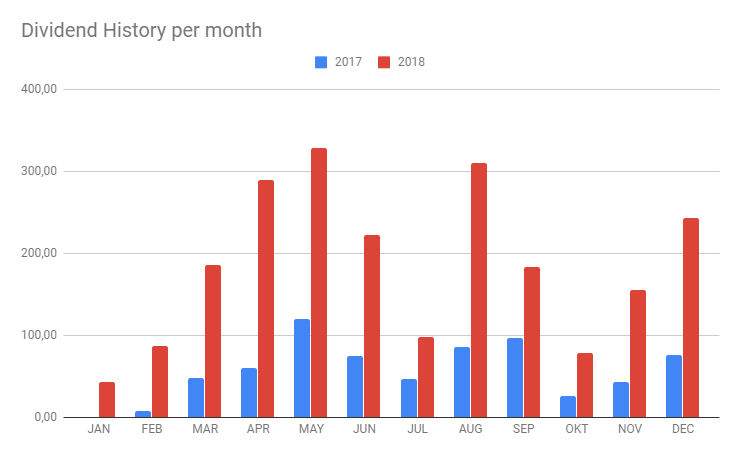 I reduced my monthly deposit from €1.500 to €1.200 this year. I want to increase the balance in my savings account in 2019, because it’s below the level where I want it to be after making some investments in my house. Last few months the stock market is very volatile so I’m curious how next year will be on the stock market. Today Boeing announced an 20,2% increasee of their quarterly dividend. The quarterly dividend is increased from $1,71 to $2,06. Because I own 6 shares Boeing this results in an increase of my yearly estimated dividend income by $8,40. This week Dominion Energy announced a 10% dividend increase. Dominion is increasing their quarterly dividend from $0,835 to $0,9175. I own 30 shares of Dominion Energy. As a result of the dividend increase my yearly estimated dividend income will increase with $9,90.